This Kale Pesto Pasta Recipe post is sponsored, however, the opinions expressed are my own. Cheese is one of my favorite things to eat. I love it, I love it, I love it! I sincerely believe that everything really does taste better with cheese. 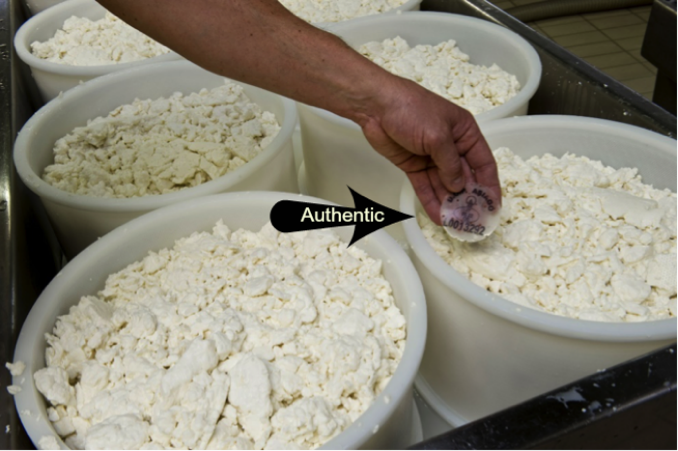 For me, it is important that I use authentic Italian cheese when preparing meals for my family as there really is a difference in texture and most importantly – flavor. I was in the mood for pasta with cheese this evening (I’m always in the mood for pasta). With the ingredients I had in my refrigerator, I decided upon making an improvised version of pesto sauce. I also wanted to add additional flavor to the pesto recipe, so I added authentic Italian Pecorino Romano and Asiago cheese. 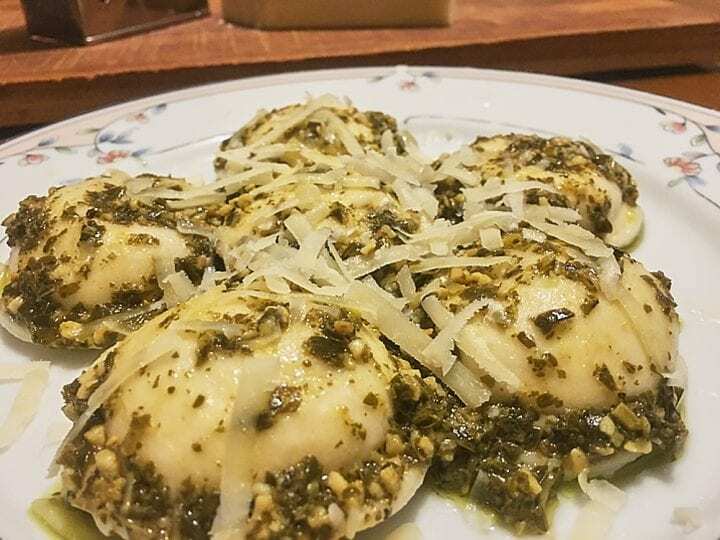 The mild and creamy taste of the Asiago added a whole other level of flavor to the pesto pasta dish that made it even more delicious. We hope that you love our Kale Pesto Pasta Recipe. Because of the hard texture and sharp & salty flavour, Pecorino Romano is an excellent grating cheese over pasta dishes. I also like to include this in the Pesto sauce itself, the salty flavor lets me omit adding salt. Recipe is below. I always make sure that I use authentic Italian Pecorino Romano and Asiago cheese for the best flavor. You can tell if a brand is authentically Italian by making sure the letters PDO or PDI are on the label. PDO stands for Protected Designation of Origin and PGI stands for (Protected Geographical Indication). 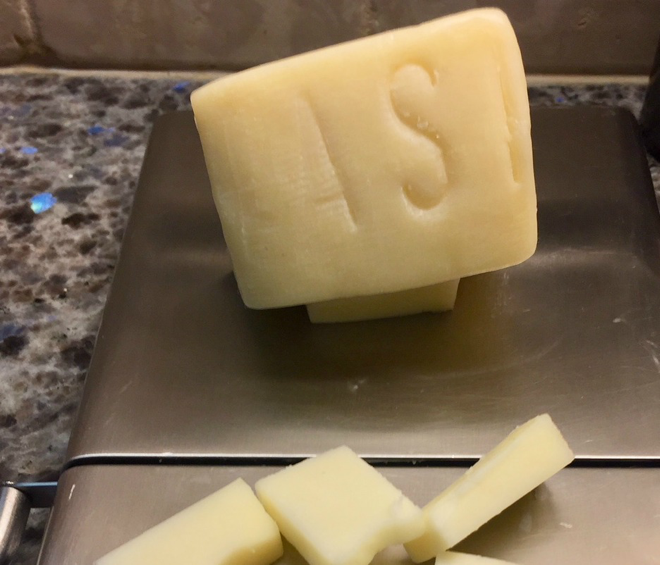 These symbols guarantee the products are from the official place of origin (in this case, Italy) and that they adhere to strict production standards that have been in place for hundreds of years. For additional information click HERE. Bring a large pot of salted water to a boil and place pasta in for 7 minutes or until al dente. for the pasta. Drain in a colander and place to the side. While the pasta is cooking, prepare the pesto. Separate the kale leaves from the stems, and roughly chop into thin strips. Place kale in a colander and rinse with cold water and drain. Add kale to a food processor along with the olive oil, 1/4 cup juice from the lemon, garlic, walnuts, authentic Italian Pecorino Romano cheese, and pepper. Purée until smooth. Note: add additional olive oil if necessary as the sauce needs to be smooth and not chunky. 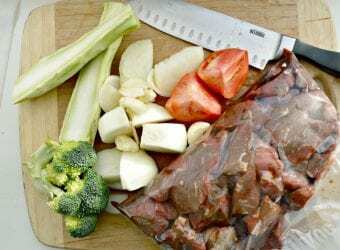 Add additional salt, pepper and/or lemon juice to your taste. Set aside. Place your cooled and drained pasta in a large bowl and add a little over half of the pesto sauce and stir until all pasta is coated. Dice authentic Italian Asiago cheese into small cubes, then add it to the pasta along with 1 Tbsp of the zest from the lemon. Stir to combine all ingredients and then add the remaining pesto and continue to stir until everything is coated. Top with more grated Pecorino Romano and serve. Make sure to look for authentic Italian cheese when preparing your favorite recipes for the best possible texture and flavor. Listed below is a little more detail on the authentic Italian cheese that I used for my recipe. Mangiamo! 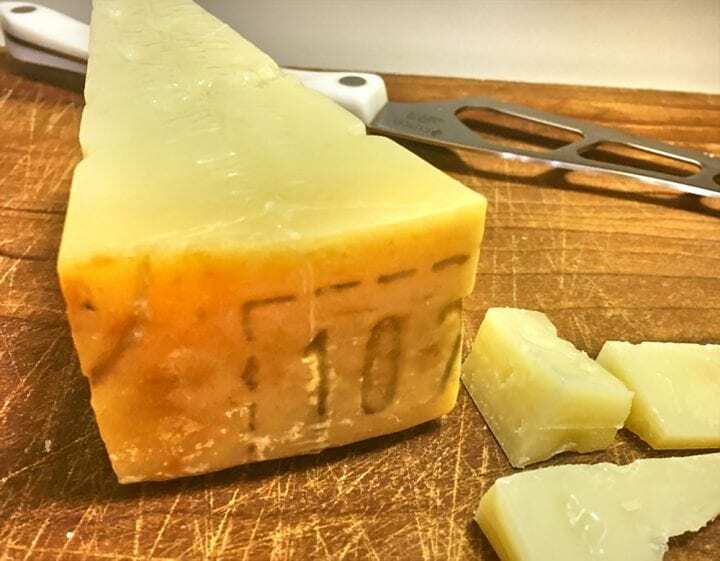 Pecorino Romano is a sheep’s milk cheese (‘pecora’ is the Italian word for sheep) that is typically aged for 8 months to 1 year. The first Italian cheeses were made from sheep’s milk 2,000 years ago to feed the soldiers of the Ancient Roman Empire. To this day, sheep still graze on wild and semi-wild pastures filled with native flora in the regions of Sardinia, Lazio, and the province of Grosseto. 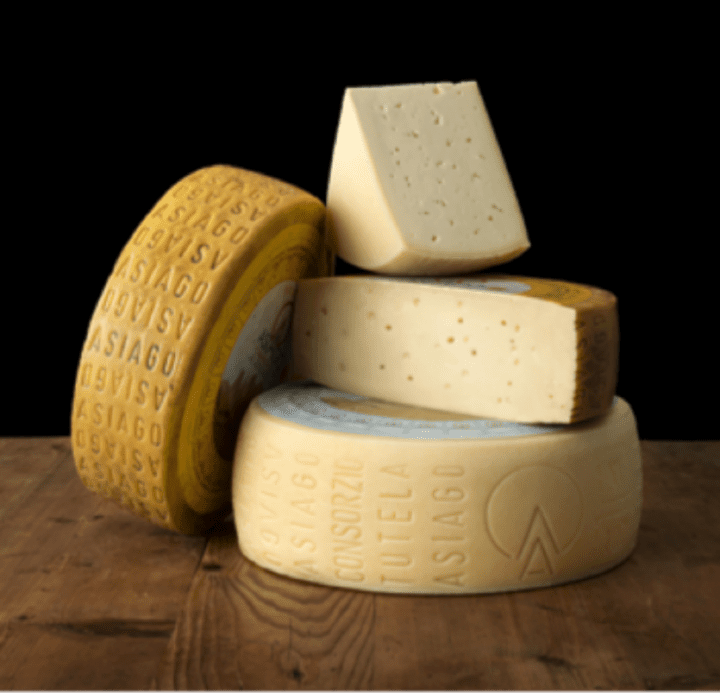 Only here can Pecorino Romano PDO be made from fresh whole sheep’s milk from October to July. Pecorino Romano is only made from three ingredients:. Lightly heat-treated sheep’s milk, salt, and rennet. That’s it! 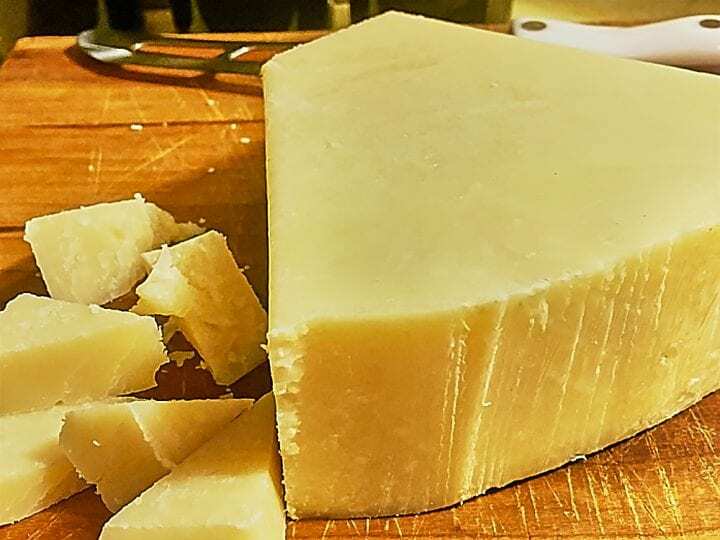 For 1000 years, milk-producing animals have enjoyed a tasty diet of lush, flower-filled grasses in the provinces surrounding the Asiago Plateau, from where this fabled cheese gets its name. The Asiago Plateau in Italy has a mild climate, pure air and rich vegetation that all come together to create an unparalleled flavor in the Asiago cheese. I love pesto! It’s really awesome to learn different recipes that involve using pesto! I think this one’s really good especially with that kind of cheese! WOW! That looks so, so good! I’m a huge fan of pesto, and this kale variation over that pasta looks like just about the best thing ever. Om nom nom. This looks fantastic, and a close up like that, you feel you could take a big forkful! I’d love to try this, a nice change from tomato sauce! You make kale look delicious. I will have to try to make this kale pesto pasta recipe, seems easy enough and looks so yummy! Looks so delicious! I am keeping this recipe. And thank you for educating me on how to choose real authentic Italian cheese. I will have check on that every time I hops for Italian cheese. This must be delicious! I absolutely love pesto and I think this pasta would be perfect for a family dinner. The fresh pesto is so so good to me. It makes store bought ones seem ridiculous. I love authentic asiago and Pecorino Romano. It makes a dish a whole lot better! Oh my yum! 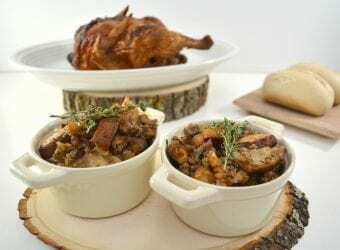 I am always on the hunt for good vegetarian dishes that my family would enjoy and this one fits the bill nicely. I can’t wait to serve it up! We love pasta and also pesto,. Will be pinning this and adding it to our menu rotation. If only it would jump off the computer screen, it’s making me hungry. Amazing! I love all kinds of cheeses, and this sounds so incredible! I have to give it a try! Love the facts about cheese too. I had know idea that cheese was made 2,000 years ago. That is crazy! Mmm that does sound good! I love homemade pesto but the Pecorino Romano will make this dish truly unique. I don’t think I’ve ever had cheese from sheep’s milk before. Pesto sauce is so underused in recipes. 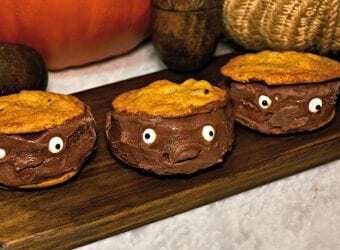 These are mouthwatering! This is so cheesy and amazing. I am all about anything made with pesto. I wish I had time to make this for dinner. 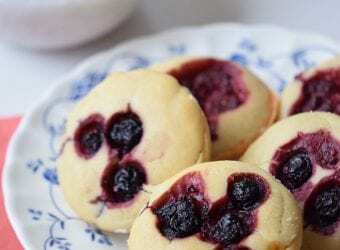 This is a killer recipe! This looks amazing! I love pesto and cheese! I always make sure to get the authentic cheese, the others are not the same. Thank you for the tips on how to determine if the cheese I am about to purchase is authentic or not. Believe it or not, I have a list of the first 3 digits of bar codes to determine a product’s country of origin! The information you shared about Asiago and Pecorino Romano is excellent. Thanks for sharing the delicious kale pesto pasta recipe too. I never think to add Kale to pasta recipes. I tend to add spinach, but this looks absolutely delicious! I can’t wait to try it. 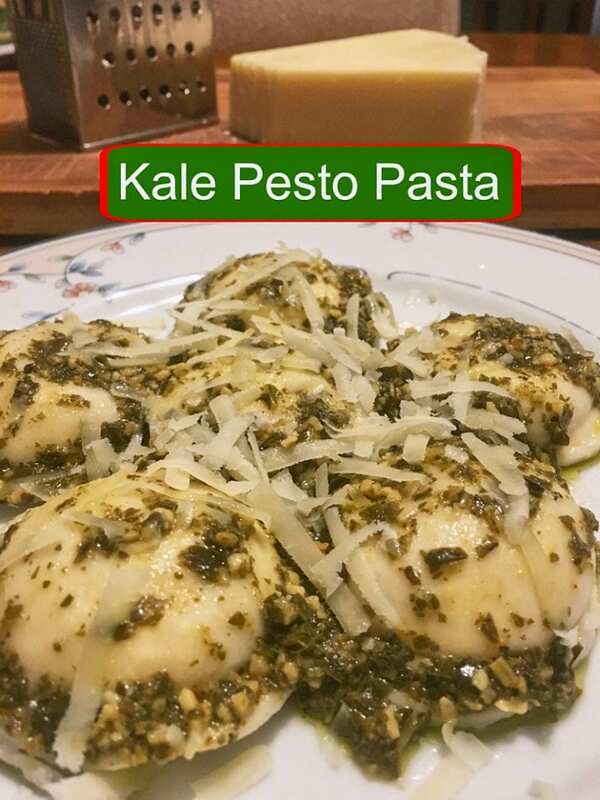 Oh my goodness Stacie… your Kale Pesto Pasta recipe looks delicious! I just know my family will love it! I love both of those fresh cheeses. This recipe looks delicious. This looks so tasty! I like Pesto so a recipe like this is right up my alley. I know my family will enjoy trying this too. I am always looking for new recipes to try. This Kale Pesto Pasta looks so delicious and easy to make. I will have to give it a try this weekend. OH my family would love this! It looks delicious! I love pesto. I can just imagine how good this must be. I’ll confess though – I’ve never had kale before. I love spinach though so I’m guessing I’ll like it. Yummy- who doesn’t love fresh pasta, especially pesto pasta. This is definitely a nice twist I need to give a try! This looks and sounds delicious. I love a meal with cheese added! My family loves pastas. This sounds really good too. I think I should make it soon to see how we like it. I like this recipe. Reminds me of growing up in the Mediterranean as a child. Kale was always an affordable alternative. I love pesto pasta! This one looks amazingly delicious! This looks really great. I have been on a total Kale kick lately and need to give this a try! Love me some Kale! Seriously. This pasta looks amazing I am going to have to try it out for dinner tonight! Your pasta dish looks delicious. I love cheese. Thank you for sharing these fun facts about these two kinds of cheese. I learned something new.